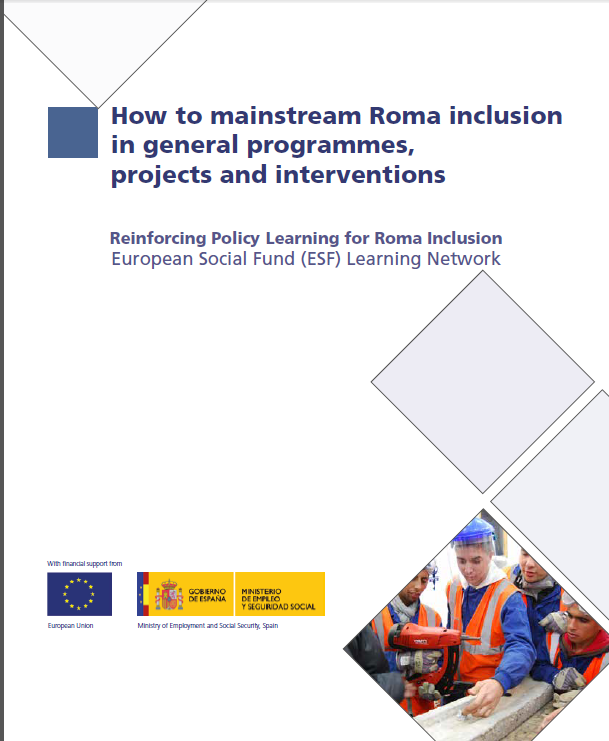 This practical handbook has been elaborated by the European Social Fund (ESF) Learning Network “Reinforcing policy learning for Roma inclusion” (also referred to as ‘EURoma+ Network’ or ‘ESF Roma Inclusion Network’). Together with the “Joint report on the use of Structural Funds for Roma inclusion” and the Practical Handbook “How to monitor and evaluate Roma-related initiatives under Structural and Investment Funds”, this handbook is one of the key tools of the Network to achieve its goal of transferring the knowledge gained on the use of Structural Funds for Roma inclusion during the 2007-2013 programming period to the 2014-2020 period. The handbook provides an in-depth and technical analysis of one of the topics identified by members of the Network among the most challenging areas and in which further reflection and progress is needed and where exchange of information and mutual learning between participating countries could be beneficial. It aims to serve as a practical resource for Managing Authorities, Intermediate Bodies and other relevant stakeholders involved in the planning, implementation, monitoring and evaluation of ESI Funds with a view to helping them improve the mainstreaming of Roma inclusion under European Structural and Investments Funds (ESI Funds). In partcular, this handbook analyses how to make mainstream programmes, projects and interventions under ESI Funds inclusive of Roma, i.e. how Roma can better access and benefit from the projects and interventions carried out in the framework of the different Operational Programmes (OPs) even where the latter do not target them directly. This paper builds upon the premise that promoting the inclusion of the Roma in mainstream society should be the ultimate aim of all policies and, as a consequence, policies and projects should be inclusive of Roma.